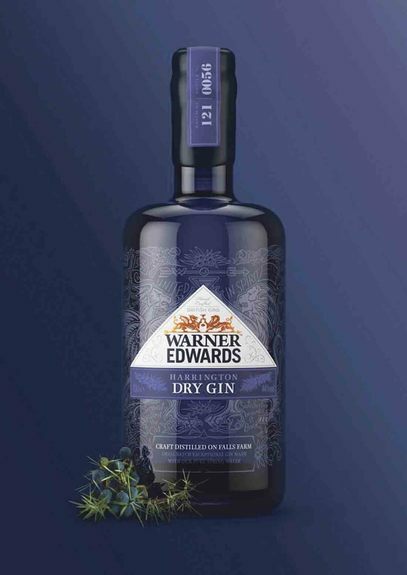 Tom Warner reveals how Warner Edwards gin is set to become a household name. Emily Scaife reports. A farm-based gin production business beat stiff competition to be awarded a £150,000 investment from HSBC - a grant that could prove a game changer for the brand. 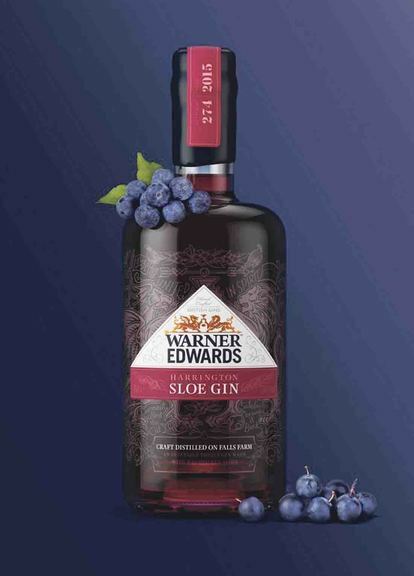 Warner Edwards was set up by farmers’ sons and former Harper Adams students Tom Warner and Sion Edwards, who both gave up careers in the fresh produce industry to produce a farm-distilled gin. They first started considering the venture seriously in 2009, when the alcohol market had been pollarised by the recession. “The discounters did really well, Waitrose did really well and premium brands did really well,” explains Tom. Research into gin production revealed its market share was set to grow - and grow it did. In 2012 vodka was worth £2.4 billion of the UK spirit market and gin £800 million. Gin is now worth a billion and has increased by 25 per cent in the past three years and it’s been forecast the spirit will be worth 1.3 billion by 2020. But that wasn’t the only attraction. The pair pursued gin because it was more synonymous with Great Britain and gave them the scope to explore flavours. Plus, the natural benefits of Tom’s family farm in Harrington, Northamptonshire, was another big draw. 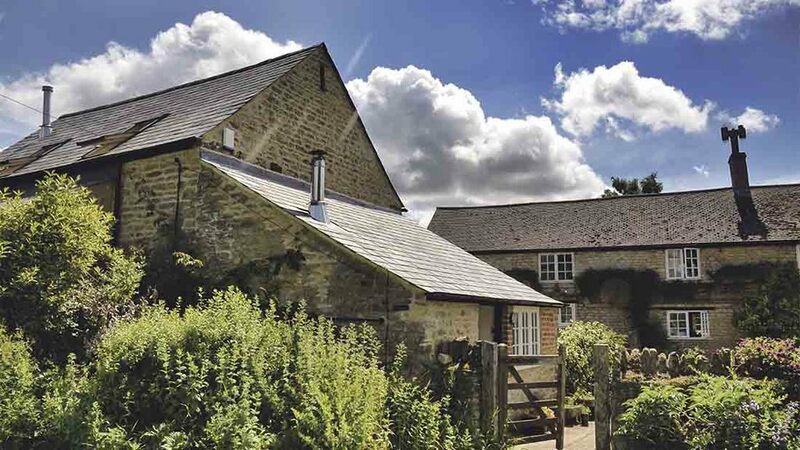 “The farm is ideal for our gin making as it has an abundance of natural springs and hedgerow botanicals,” Tom says. “The water used in the distillation and the cutting back of the gin is taken from the natural spring on the farm’s historically terraced land, just 300 metres from the distillery. “We literally drive down the field every few days to collect the water from the spring. My Dad has been pretty patient with us as it’s still a working farm and we are in and out of the fields with the tractor and trailer all the time. Initially, Tom and Sion bought a small 1.5 litre still from the internet and trialled a variety of botanicals through it, using vodka as the spirit. “All of these experiments were a disaster but gave us a good understanding of how things worked and got us on the road to discovery,” Tom says. A family friend who worked for a flavouring company gave them the tools needed to build up a library of gins very quickly. “After four and a half months of meeting at the farm every weekend to trial and test recipes, we established our Harrington Dry Gin recipe,” Tom adds. Part of the production process involves the gin distillers working as rectifiers. “Gin rectification is the re-distillation of the cleanest alcohol with botanicals to create a flavoured spirit. Warner Edwards is made using British wheat. “We combine the purest grain spirit, spring water, home grown elderflower and 10 other botanicals to our still, which produce a beautiful spirit that comes off the still at around 90 per cent ABV. Despite the natural advantages of the site, there was still a lot of work to do before they could lay claim to running a distillery. “At the time we conceived the business idea it was fairly difficult to get information on setting up a distillery or producing gin,” says Tom. A vital part of the process, the still, was sourced from Arnold Holstein in Germany. ‘Curiosity’ (so-named because a cat’s paw-prints were found imprinted onto the just-dried cement floor) has eight copper plates and a copper catalyser, which helps create smooth gin with very little acidity. The team are only using four of the copper plates presently, leaving much potential for growth. Selected because Tom believes it is the best still in the world, this equipment doesn’t come cheap. The pair raised the money by saving as much of their salaries as possible for three years, with the remainder coming from their families and a small loan from HSBC. Victoria’s Rhubarb Gin: made using a crop of rhubarb originally grown in the kitchen garden of Buckingham Palace during the reign of Queen Victoria. The rhubarb juice is extracted using a traditional fruit press and blended with the Harrington Dry Gin. Warner Edwards is a truly British brand and despite its recent beginnings it has its roots in a long history. “We established the distillery on my family’s farm and the land was originally home to a monastery and still contains the remains of monastic fishponds,” Tom says. “Following The Dissolution, the manor was leased to a noble family who created medieval terraced gardens which can still be seen in the surrounding fields and are now listed as an historical archaeological site. Their elderflower gin variety is produced once a year in the height of summer, when home-grown elderflower blossom is soaked in the dry gin. 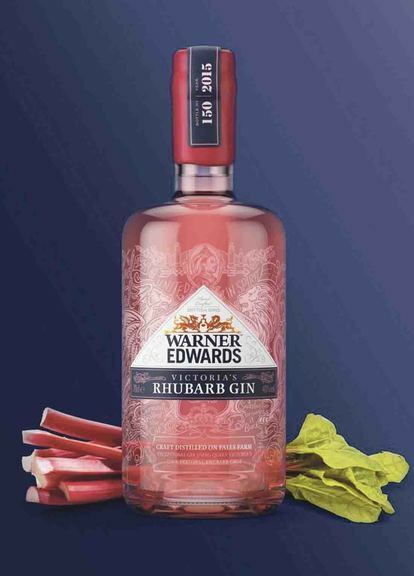 The Warner Edwards Rhubarb Gin is made using a crop of rhubarb originally grown in the kitchen garden of Buckingham Palace during the reign of Queen Victoria. Tom considers their farming background key to the success of the brand. “Hard work, authenticity and passion are the corner stones of our business, which is driven by our upbringing on family farms,” he says. The 14-strong team has a lot of plans in the pipeline, from new flavours to new markets. They have also nearly finished installing a botanical garden at the distillery to grow herbs that will help them develop new flavours. The £150,000 grant from HSBC will no doubt help. Tom admits winning the final of the HSBC Elevator Pitch means he can invest in increasing the business’s capacity much sooner than planned. “I truly believe we’re a sleeping giant; we’re starting to get mainstream distribution in the right channels,” he says. “We need to support that distribution and really shout about it. We’ve also got to keep up with production to meet the increased demand. My dad is in constant competition to prove he is busier than I am, which can lead to daily flash points in the yard. I have to remind him there are no passports, ear tags or movement testing on bottles of gin!